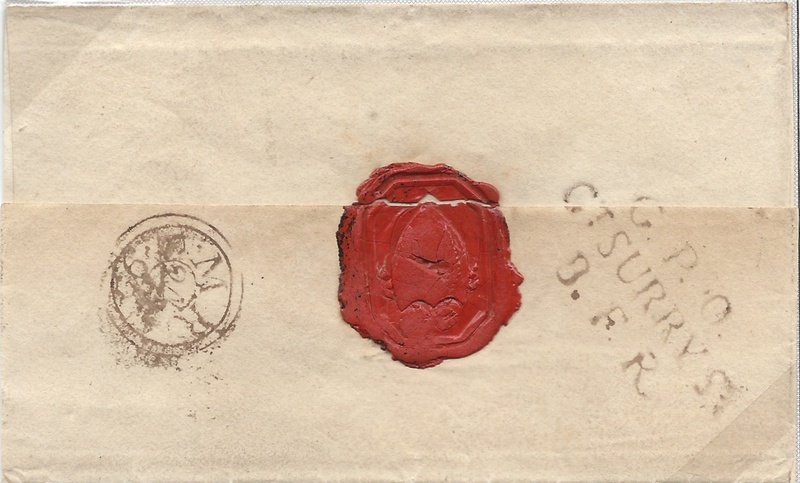 1793 Cover to Rochdale, side flaps removed, cancelled on the reverse by a very fine "G. R. O./GT. SURRY ST./B.F.R", (Blackfriars Road), L 77a. Very Rare. Ex B Jay.